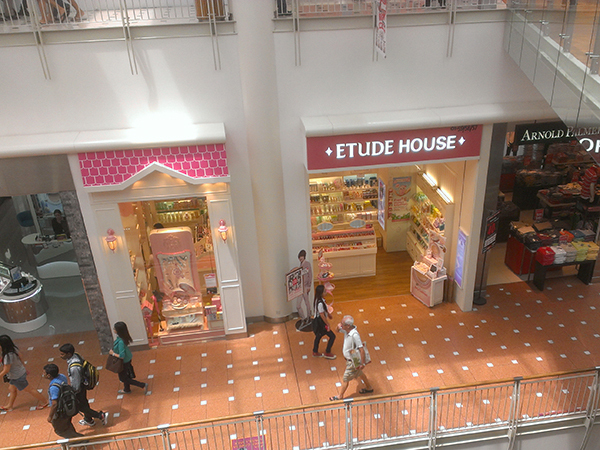 Every time a mall has an Etude House, I find it. Not even on purpose! I think my brain has a radar for pink stores. Just look at that place; how can you resist going in and giving them all your money? Well, I might as well review as much as I can for everyone, right? 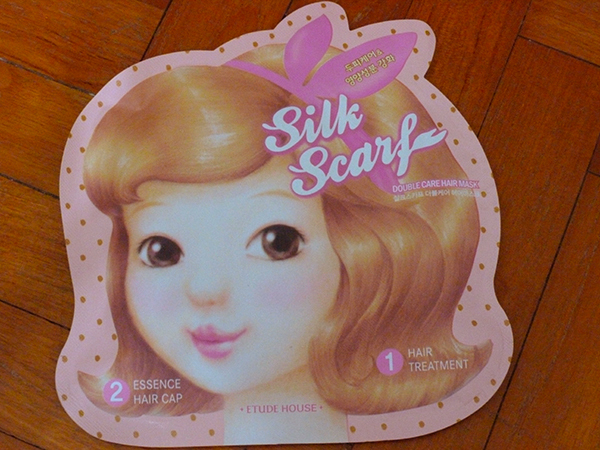 The first one I have for you is the Silk Scarf Double Hair Care Mask. My hair has been getting kind of beat up lately, what with the heat, my swimming in a chlorinated pool, and the fact that I just spent a week in hotels, putting nothing in my hair but their complimentary shampoos >___> my bad.